Remember when your mother told you to stand up straight and not slouch? In essence, she was trying to optimize your posture. Good posture depends on many factors, including, of course, the bones (called vertebral bodies) that make up our spine. We have a total of 33 vertebrae categorized into 5 types, depending on where they are located. 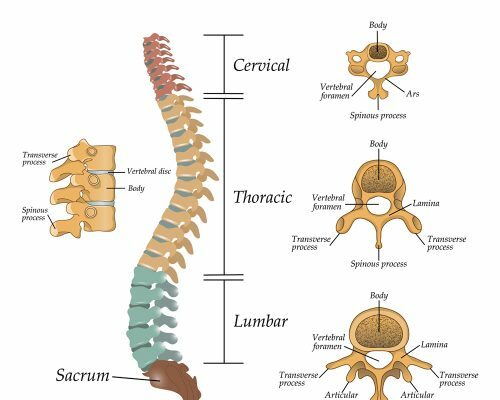 The top 7 vertebrae in our neck are called the cervical spine, the next 12 lower vertebrae are called the thoracic spine and the next 5 lower vertebrae are called the lumbar spine. Below the lumbar spine are usually 5 fused vertebrae called the sacrum. Beneath the sacrum are 4 coccygeal bones which form the tailbone. Certain diseases and conditions can cause the spine to lose its normal curvature. When the normal curvature becomes extremely exaggerated, this can lead to poor posture. It is important to discuss with your chiropractor the possible causes of your poor posture since they can be early signs of spinal problems. Human posture is also affected by elements other than the vertebral bodies. The discs between the vertebrae can affect posture, especially when they are dehydrated or have herniated. Ligaments and muscles that are attached to the spine can affect posture, especially if the ligaments are lax or when the muscles are weak. Chiropractic can help improve your posture, reduce pain and optimize your spine for better health. Mention the Essential Family Chiropractic website when you call for an appointment and we will provide a new-patient exam for only $27. This includes a consultation, x-rays and surface EMG. This exam could cost you over $150 elsewhere. You’ll be happy to know that we have a $35 spinal adjustment plan for adults and $18 for kids. Chiropractic care is for children as well as adults. Children typically grow up with the inevitable falls, jolts, slips, and bumps, all of which may cause subluxations. The pains associated with these are soon forgotten but the nervous system interference still remains. Often the first subluxations occur during the difficult birth process. Children respond very quickly to Chiropractic Care because they heal rapidly. They haven’t developed long-term subluxations, which lead to spinal degeneration. Ear infections, colic, back pain, asthma, bed wetting, allergies, learning disorders, growing pains, hyperactivity, and attention deficit disorders, are just a few of the more common children’s conditions that may improve with Chiropractic Care.